Right Stuff? One Direction seem to be on track for another stratospheric boost to their chart fortunes. Picture Supplied. 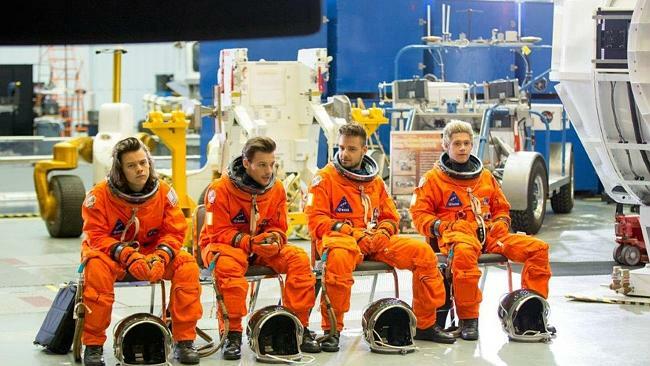 Brit It boy band One Direction have gone spacey for their first music video since Zayn Malik’s departure. 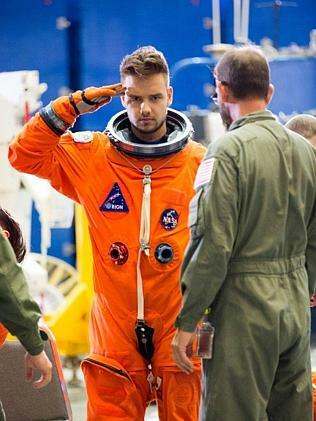 The revamped quartet, who continue to trade social media shade with former best mate Malik, filmed the clip for their latest chart-topper Drag Me Down at the NASA Space in Houston. The video went off like a rocket when it was posted mid afternoon in Australia, clocking up half a million views in an hour and trending on social media as fans in the northern hemisphere woke to the news of the clip. But they still have a long way to go to break Taylor Swift’s record for the most views in a day with Bad Blood clocking an astronomical 20 million in 24 hours on its release. The band defy gravity in some of the scenes filmed in various simulators at the legendary American headquarters for space exploration. And their career similarly seems to be defying predictions of crashing to earth after Malik quit, with the single instantly topping the iTunes charts in 90 countries after its unexpected release on July 31. It was their most successful global single launch since the band were launched by X Factor in 2010 and the single debuted at No. 1 on the ARIA charts. Each member gets a crack at the big boys toys on offer at the astronaut version of Disneyland. 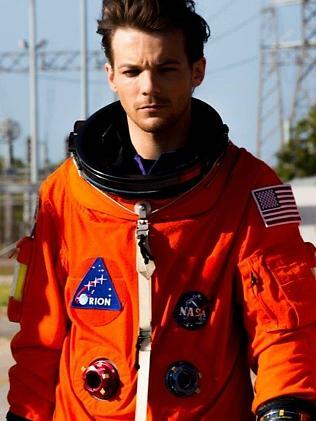 There’s Liam training inside the International Space Station replica, while Niall gets all the fun in the Patrial Gravity Simulator, Harry mimics Robonaut and Louis hoons around in the Space Exploration Vehicle which could end up on Mars. Drag Me Down is the first taste of the band’s fifth album which will be released in November. They upset some fans when they posted a Throw Back Thursday photo on Twitter from the set of last year’s Steal My Girl video with Malik cropped out of the shot.